Pastor jokes...and religious jokes in general...float around the internet in quantities as large as the grains of sand in the Caribbean! But as they travel from one inbox to another, the original author's name is usually lost. So most of the jokes below do not show the author's name. I'd be glad to include the name if he or she can be found. If you know of any good pastor jokes that you’d like to share, please send them to me using the form at the bottom of this page. For more Christian humor, you might get a laugh out of these funny church stories , Christian jokes , church jokes, and, church sign sayings. This pastor joke might offend just about everyone! At a recent pastor’s retreat each minister in attendance was asked the following question: “How many people does it take to screw in a light bulb?” The answers were as follows. This poll provides one clear conclusion: it’s no wonder pastors are always in the dark. A bishop visited a church in his diocese. Only three people turned up to hear him peach. He asked the Vicar "Did you give notice of my visit?". "No" replied the vicar, "but word seems to have got round anyway". This pastor joke might turn your stomach if you are not a hunter. This pastor joke proves that good hospital etiquette can save some embarrassment! A preacher went to visit an eldrly woman from his church who had just had an operation. As he was sitting there talking with her, he noticed a bowl of peanuts on the stand next to the bed. He began to eat them, and soon it was time for him to leave. When he got up he noticed he had eaten all of her peanuts. "Sister Jones,"he said" I'm sorry I ate all of your peanuts." She replied "That's okay pastor, I already sucked all of the chocolate off of them." 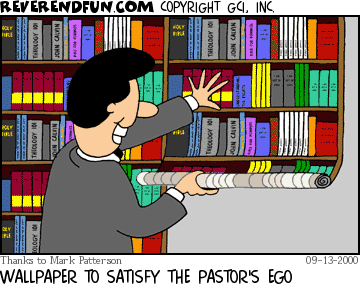 This pastor joke is an exaggeration ... but only a slight exaggeration! Two ministers met in the after life. One said, "Isn't heaven wonderful after the parish ministry?" The other said, "This isn't heaven!" This pastor joke reminds us to know whose listening when we talk. A young couple invited their elderly preacher for Sunday dinner. While they were in the kitchen preparing the meal, the minister asked their son what they were having. Three preachers were driving down the road when they missed a turn and went into the ditch. As they pulled themselves together, a drunk pulled up and asked if they were all right. "Oh, yes, Jesus is with us," one replied. The drunk thought that over for a minute. "Well, you'd better let him get in with me, you're going to kill him!" A pastor was at church when she received a phone call that her daughter was very sick with a fever. She left church and stopped by the pharmacy to get some medication. She got back to her car and found that she had locked her keys in the car. She didn't know what to do, so she called home and told the baby sitter what had happened. The baby sitter told her that the fever was getting worse. She said, "You might find a coat hanger and use that to open the door." The pastor looked around and found an old rusty coat hanger that had been left on the ground, possibly by someone else who at some time had locked their keys in their car. She looked at the hanger and said, "I don't know how to use this." She bowed her head and asked God to send her help. Within five minutes a beat up old motorcycle pulled up, with a dirty, greasy, bearded man who was wearing an old biker skull rag on his head. The pastor thought, "This is what you sent to help me?" But, she was desperate, so she was also very thankful. The man got off of his cycle and asked if he could help. She said, "Yes, my daughter is very sick. I stopped to get her some medication and I locked my keys in my car. I must get home to her. Please, can you use this hanger to unlock my car?" He said, "Sure." He walked over to the car, and in less than a minute the car was open. She hugged the man and through her tears she said, "Thank You So Much! You are a very nice man." The man replied, "Lady, I am not a nice man. I just got out of prison today. I was in prison for car theft and have only been out for about an hour." The pastor hugged the man again and with sobbing tears cried out loud, "Oh, Thank you God! You even sent me a Professional!" A monastery in the English countryside had fallen on hard times, and decided to establish a business to defray their expenses, such as a bakery or winery. Being English, however, they decided to open a fish-and-chips restaurant. The establishment soon became very popular, attracting people from all over. The child, still staring at him, asked, “Do you have a boo boo?” The priest was somewhat puzzled, but quickly figured out that the child was looking at his white and black Roman collar. The priest pulled out the white plastic insert and showed it to the child telling him that it was also part of his uniform. On the back side of the collar there was some writing: “Wash with warm soapy water.” The priest showed this to the little boy and then asked him “Do you know what these words say? A Baptist Minister and a Presbyterian Minister are sitting next to each other on a long flight from LA to NY. The Presbyterian leans over to the Baptist and asks if he would like to play a fun game. The Baptist just wants to take a nap, so he politely declines and rolls over to the window to catch a few winks. The Presbyterian persists and explains that the game is real easy and a lot of fun. He explains "I ask you a question, and if you don’t know the answer, you pay me $5. Then you ask me a question, and if I don’t know the answer, I’ll pay you $5." Again, the Baptist politely declines and tries to get to sleep. The Presbyterian, now somewhat agitated, says, "Okay, if you don’t know the answer you pay me $5, and if I don’t know the answer, I’ll pay you $50!" This catches the Baptist’s attention, and he sees no end to this torment unless he plays, so he agrees to the game. The Presbyterian asks the first question. "What’s the distance from the earth to the moon?" The Baptist doesn’t say a word, but reaches into his wallet, pulls out a five dollar bill and hands it to the Presbyterian. Now, it’s the Baptist’s turn. He asks the Presbyterian "What goes up a hill with three legs, and comes down on four?" The Presbyterian looks up at him with a puzzled look. He takes out his laptop computer and searches all of his references. He taps into the air phone with his modem and searches the net and the Library of Congress. Frustrated, he sends e-mail to his church— all to no avail. After about an hour, he wakes the Baptist and hands him $50. The Baptist politely takes the $50 and turns away to try to get back to sleep. The Presbyterian, more than a little miffed, shakes the Baptist and asks "Well, so what’s the answer?" Without a word, the Baptist reaches into his wallet, hands the Presbyterian $5, and turns away to get back to sleep. Struggling to make ends meet on a first-call salary, the pastor was livid when he confronted his wife with the receipt for a $250 dress she had bought. "How could you do this?!" "I was outside the store looking at the dress in the window, and then I found myself trying it on," she explained. "It was like Satan was whispering in my ear, 'You look fabulous in that dress. Buy it!'" "Well," the pastor replied, "You know how I deal with that kind of temptation. I say, 'Get behind me, Satan!'" "I did," replied his wife,"
but then he said, 'It looks fabulous from back here, too!'" In a small town there was a Catholic priest, Jewish rabbi and Bapist minister. One day the priest went to get a hair cut. After the barber cut his hair the priest wanted to pay him. The barber said, "Oh no, I will not accept any money from a man of God." So the next day when the barber went to open his shop he saw a loaf of bread with a thank you note. That day the rabbi came for a hair cut. Again the barber said, "Oh no, I will not accept any money from a man of God." So the next day the barber went to open his shop and found a bottle of wine and a thank you note. That day the Baptist minister came for his hair cut. Again the barber said, "Oh no, I will not accept any money from a man of God." 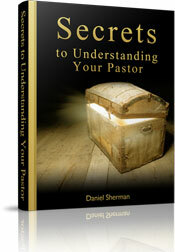 The next day when the barber went to open his shop he found 10 other Baptist ministers with a thank you note. This pastor joke reminds me of some preacher kids I know! The parents were at their wits end as to what to do about their sons’ behavior. The mother had heard that a clergyman in town had been successful in disciplining children in the past. She asked her husband if he thought they should send the boys to speak with the pastor. The pastor agreed to speak with the boys, but asked to see them individually. A preacher once preached about the danger of drinking beer and he showed the congregation a clear glass with a piece of liver inside and poured beer inside and let them watch what would happen to your liver if you drank. A pastor places his order at the pet store: "I need at least 50 mice, 2000 ants and as many of those little silverfish you can get." The pastor replied, "I've accepted a call to another church and the congregation council told me to leave the parsonage the way I found it." Jesus made a quick return to earth for a visit. He came upon a lame man, had compassion on him, and healed his leg. Further down the road, Our Lord came upon a blind man, had compassion on him, and healed him. A little further down the road, Jesus came upon a man sitting on the curb sobbing his heart out. Jesus asked him what was wrong. 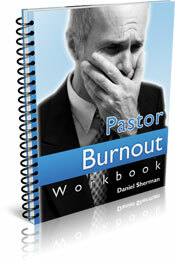 The man cried out in agony, "I'm a pastor!" 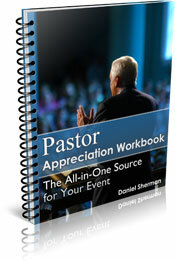 For another pastor joke, see the Letterman Top 10 parody on the pastor appreciation skit page. Looking for more laughs? Try these Christian jokes , church jokes, and, church sign sayings. What's the funniest thing that's ever happened at your church? Every church has funny or odd stories to tell. What have you seen in your church? What pastor jokes do you have to share? Tell us your story and I'll give it its own page here on the site. And read other funny church stories as well. Read more pastor jokes and write your own!